Apartment in Belgrano, Buenos Aires - Pampa II ! 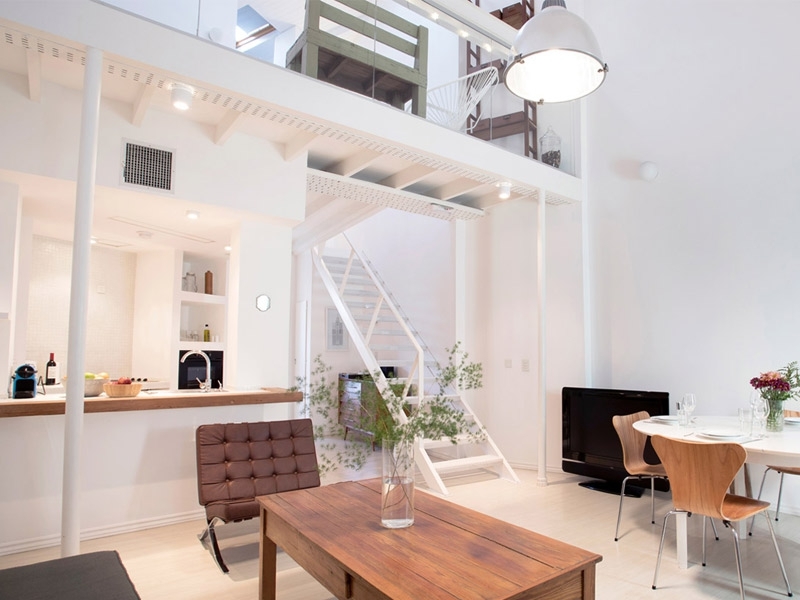 Fully renovated 800 square feet loft in Belgrano residential area. Set in a 1900s building, it is part of a set of apartments within the same building block, each with its own unique personality. Check them out! Simple yet elegant, this apartment has everything you need for a comfortable stay, and a little bit more. 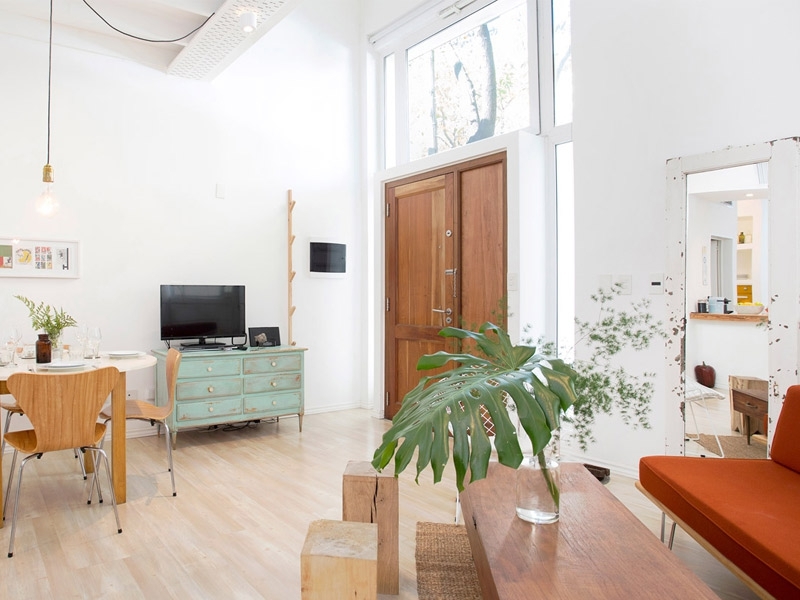 Fully equipped kitchen with Nespresso machine, comfortable living room area with high ceilings, queen size bed on the second floor and and lots of light throughout, this apartment is a great choice for both couples and solo travelers. The spacious living area also doubles as a dining area and can comfortably seat four at its modern table. The sofa beds can comfortably accommodate two extra guests as well, with their own private bathroom. The apartment has a very natural feel to its decor with lots of pastel colors and neutral shades, a great place to chill after a busy day exploring the city. On the second floor you will find the master bedroom with a queen size bed, walk-in closet and ensuite bathroom. This apartment is set in the same apartment building as Pampa III, Pampa VI and Pampa VII, so it is also ideal for a group of friends or work colleagues looking to share a vacation or work assignment while still having your own privacy and space. The building is next to a train rail, triple windows and sound insulation of partition walls avoid any noise nuisance, however, if you have highly sensitive ears, please be aware of this.